Rachel McBride had a tough offseason, which spent rehabbing a foot injury. Her first race back, a win at the Great White North Half Ironman on July 2nd, was an unqualified success. Setting her sights ever higher, she toed the line for a full Ironman in Whistler this past weekend. Still returning to peak form after her injury, and this being only her second full distance Ironman, she was thrilled to cross the line in 3rd place after a long day on course. Read below for a race recap in her own words! 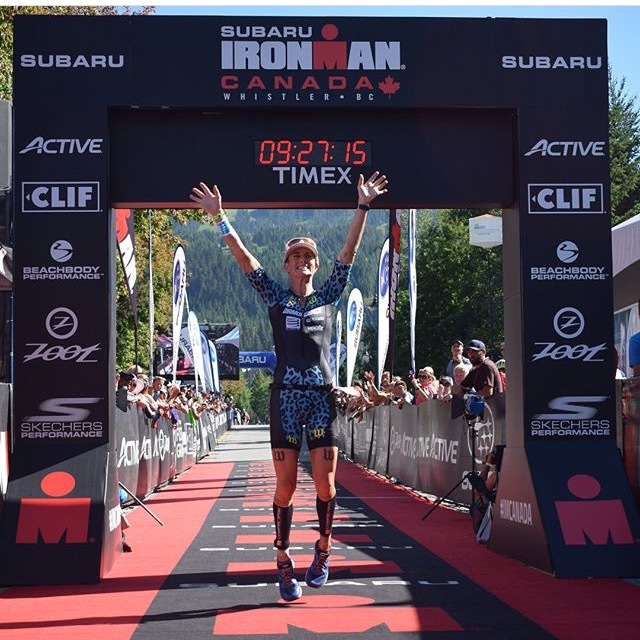 My race at Ironman Canada was an incredible experience from start to finish. After coming out of the water with a surprise 2:30 lead, I set to work on my plan for the challenging bike course, with almost 7,000 feet of climbing. My plan was to go steady over the rollers through Whistler, push the power on the first 1000 ft climb and use my brave descending skills on the way back down. My Diamondback Serios and Reynolds AERO combo were perfect for comfortable climbing and an agile descent. Back through Whistler and down into the Pemberton flats, I got into time trial mode for 31 km of flat, windy farmland gaining up to a 10 minute lead on Linsey Corbin behind. Everyone's nemesis of the Ironman Canada bike course is the 1,400 ft., 13 mile climb that comes 93 miles into the ride. Just when your legs are starting to fatigue and you are wishing you were off your bike, this hot, windy beast is mighty painful. I did my best to hold my lead and came off the bike with 8 minutes to 2nd place [ed. note: having just set an IM Canada bike course record!]. I had a smooth run and was happy to hang on to 3rd place. I’m still in the process of building my run back up after a foot injury. I’m excited to get back to training and head to ITU Long Distance World Championships in 4 weeks!